​This is a R Fuess Model 745 black bulb thermometer. 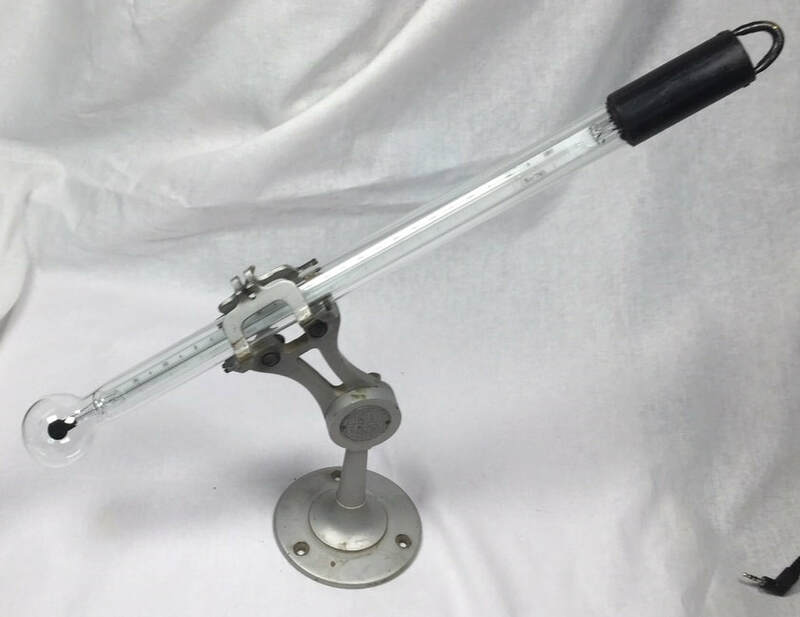 I’m not sure of its age, but a very similar Model 46 black bulb thermometer is shown in the 1940 R Fuess catalog available on this website. Black bulb thermometers have been used since the 1800s in an attempt to measure solar radiation, though the results have never been very satisfactory. Black bulb temperature is still used to calculate WBGT (Wet Bulb Global Temperature), which is a measure of the effect of weather on human discomfort. The device consists of an ordinary mercury thermometer with its bulb painted black, enclosed in a vacuum. The temperature scale ranges from -24 to 105 Celsius. Its overall length is about 14.5 inches. 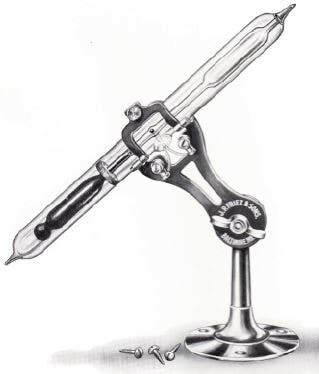 The stand holding the black bulb thermometer in the first photo was made by Bendix Friez, which dates it after the early 1940s. I believe it is a stand for a Marvin sunshine recorder (shown in the second photo) or for a US Army Signal Corps ML-20 sunshine recorder, a similar device.